Whether you have specific health issues, or just want to feel and look your best, you've come to the right place. The Jefferson Health Nutrition Center in New Jersey has a program that's right for you. Our individual and group sessions are delivered by highly skilled and specially trained Registered Dietitians. In addition, many insurance companies provide coverage for these services. A healthier you is a happier you. Learn more about how we can get your life back on track. Jefferson Health offers a comprehensive Nutritional Counseling program, providing one-on-one consultation with a Registered Dietitian for children and adults in New Jersey who are either referred by their physician or taking steps on their own to improve their health. Nutritional Counseling is offered at locations in Washington Township, Cherry Hill, Stratford, Voorhees and Marlton, New Jersey, by appointment. For more information or to schedule an appointment, please call 1-844-309-7708. 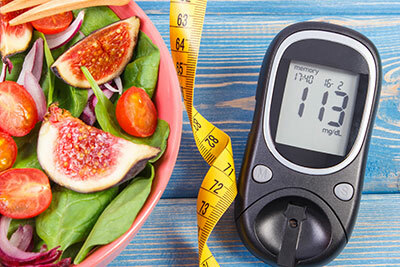 When you have diabetes, understanding and managing your diet are key to maintaining your good health. The expert staff at our Nutrition Center offer both group and individual nutrition education sessions to help you do just that. The program’s quality and success have been recognized by the American Diabetes Association (ADA). Class 1: The Basics of Diabetes - risk factors, blood sugar goals, treating hypo/hyperglycemia and the benefits of exercise. A one-on-one appointment with the staff will help address specific concerns you may have related to your diabetes, such as carb counting. If you are currently on an insulin pump or interested in learning more about pump therapy, an appointment with our Certified Pump Trainer can help answer any questions you may have. We can also work with your Endocrinologist to help you begin/upgrade your insulin pump. 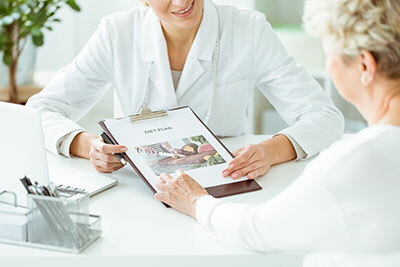 Our dedicated, caring staff works closely with your healthcare team to provide diabetes care and nutritional counseling by showing the effects of food, exercise, stress, medications and other activities on glucose levels.